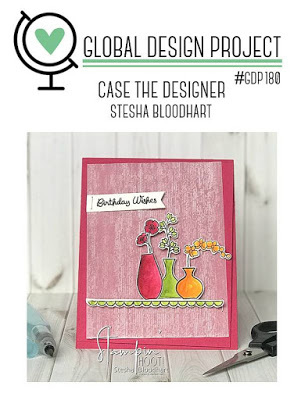 This card with the Varied Vases stamp set and coordinating Vases Builder punch is for two challenges. 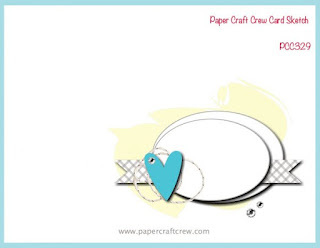 First, the sketch is for the Paper Craft Crew#329 here. And second, it's for the Global Design Project#180-Case the Designer, here. 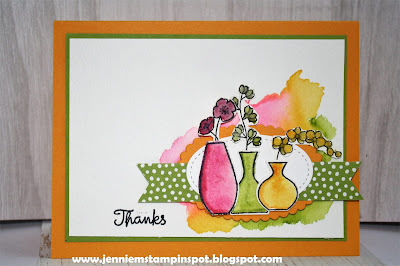 I love the colors of Stesha Bloodhart's card and I also used the Varied Vases stamp set. I really love your card! 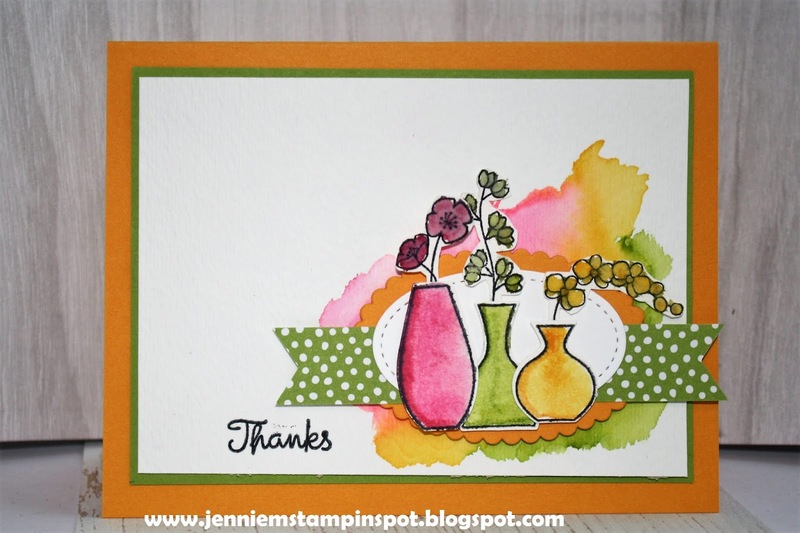 The watercolor wash background is beautifully done and the vases are wonderful! Love your watercoloring! Thank you for joining the Paper Craft Crew this week! Your watercolour wash background is fabulous, and I love how the same colours are used for the vases. Thanks for playing along with our Paper Craft Crew challenge this week! I'm the Guest Designer at Case this Sketch!